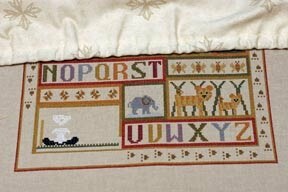 As you can see I have nearly finished my Sampler I hope to have it completed by this weekend so watch this space! 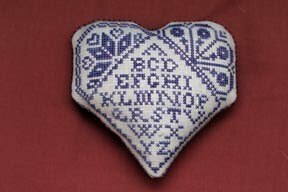 I took part in Becky's Pin pillow Exchange on her blog and I received a beautiful Pin Pillow from Anne she has used a Quaker pattern and stitched it in my favorite colour purple, you cannot see from the picture but it is also edged in purple beads. 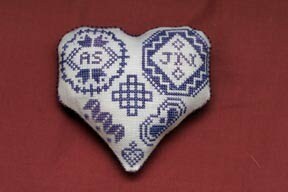 I have just sent my Exchange off to the USA so will show a picture once it has been received.